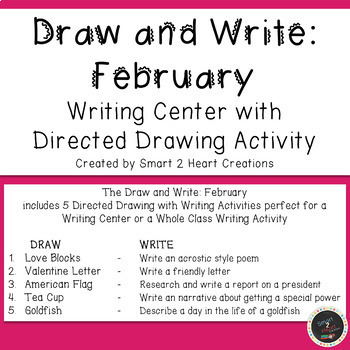 Draw and Write February is perfect for your Classroom Writing Center or for Directed Writing Activity. 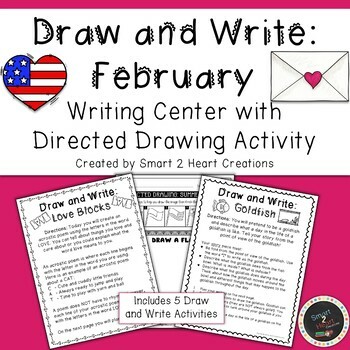 This set includes FIVE complete Writing Prompts with Directed Drawing Worksheets for your students to work on. Not sure? 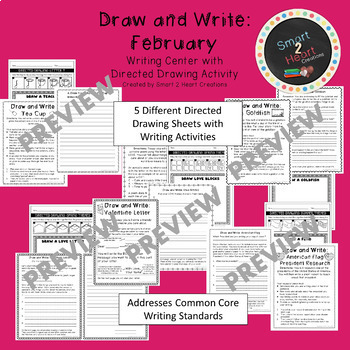 Check out my Draw and Write Freebie for a sample activity that is not included in any of my other packs. 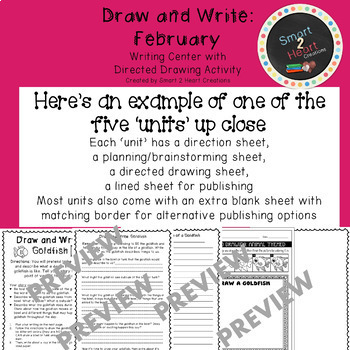 This sample will give you a glimpse at what you will find in each monthly kit!